Our family recently came to Navarre for vacation and fell in love!! We had never been to the beach before and we can not imagine not going back every year!! We stayed in a condo and loved it! We had a blast and knew we'd be staying there every year, but since coming home we have ran into issues. We feel like we were taken advantage of. 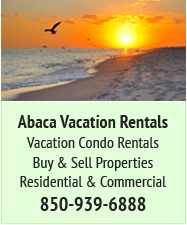 We'd rather not use the same realty/vacation company. We want to be on the beach, on the gulf side, we want an ocean view. Any & all help would be appreciated!! My husband and I bought a condo at Summerwind. about a year ago. We had been going to Orange beach for 13 years and heard about Navarre. We fell in love with Navarre. The reason we bought at Summerwind was 3 pools (1 is heated during the winter) 3 hot tubs, it's a real bummer to not have it available when you want it.They were also very thorough maintaining the pools and hot tub. Closest to the pier, within walking distance to 3 restaurants and a convenience store across the street. The grounds are very pretty and they have plenty of parking. 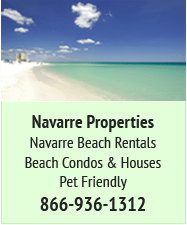 We have an on site rental company that we recently switched to and have been very happy with them, Navarre Properties. Again, had great experiences with everyone we rented from. We give Navarre Towers the nod because their pool has a deep end and it's a bit further down the island from the bridge. We have a unit reserved at The Pearl for two weeks in August; owner is Kim Humphrey, mgt. company is Gulf Blue Vacations, a new one for us. I usually say I have a budget of ____ and want to stay at The Pearl - do you have any units that are available during these dates for this budget? Remember these are owners and/or real estate agents representing owners. They have high maintenance fees and taxes. You cannot expect to get a beach front view and multiple bedroom condo for the same price as a motel 6. That old adage you get what you pay for is somewhat true but a savvy shopper can get much more than they pay for if they ask for it. Usually the highest end units are easily rented for the same price as the lower end units during shoulder season. God Luck - below are some of my observations and opinions regarding specific buildings. Last year I rented from http://www.navarrevacationrentals.com - Thane Creech --and found it to be the best experience so far- My Unit was at The Pearl #504 - I like renting at The Pearl because it's down the beach from Summerwind and upscale furnishings and decor in most units. The grounds are well kept. I refuse to rent at Summerwind ever again. The crowds of people on the beach are very unpleasant. The Summerwind condo's are ok- the last time I stayed in a penthouse unit that was very nice with a private hot tub. It's the sheer number of people at that property that keep me from going back. For years I rented at Navarre Towers - however, I have not been there in about 8 years - it became just too run down for me. If I am going to pay for vacation property I want to it to be at least as nice as my own home and most of the furniture and decor during my last few rentals appeared to come from Dollar Tree. Next door to Navarre Towers is one of my favorite properties - Belle Mer- It's far away from Summerwind on a quiet area of the Island and has very large units with nice balconies. Not many owners rent these units so they can be hard to find and most are 3 or 4 bedrooms which is usually larger than my group needs. If you stay here be sure to get a higher unit in the building so you can have the views. Next door are several houses where weddings occur daily- if you are on a low floor there can be lots of noise and the building has many full time residents who are less tolerant of misbehaving children than other properties. My children are grown but I saw them evict a renter because their child threw a noodle over the balcony into the pool from the 3rd floor. Kids will be kids….. and this did not seem to be the crime they made it out to be. Next Door to the Pearl is a newer development - I have not stayed there because their views are blocked by other buildings - Not sure why anyone built such nice condo's back so far they had a blocked view. Caribbean Resort is on the West Side of The Pearl - I toured the building once and found it smelled musty and old. A local resident told me they have serious structural problems since the last Hurricane and sewer issues are causing the smell. It looked nice just walking through but again I don't want to spend my hard earned vacation time and money staying in something with bad smells and potential structural issues. Very interesting post...thank you for sharing the info! asilloghome, you should give Navarre Towers another look. A lot but not all the units that are for rent have been remodeled. My unit (insert plug here) 1005 has been remodeled completely, baths, kitchen, heating and A/C. and last fall the floors, tiled. Dale E Peterson has many of our units to rent on their website with pictures and rates. but as you stated everything is a negotiation. Our unit does not show the new floors yet. but the new photo's have been taken, just waiting to upload. Anyway, I just had to defend my beloved Navarre Towers. Enjoy the beach when you can! asilloghome, you may want to give that newer development (Beach Colony Resort) a try - they do have good views of both the Gulf and the Sound. The East building has probably the best view of the Gulf (especially B and C units), while the West building (closest to Pearl) you can see both very well. At sunset and early evening, it is very pretty looking over the island to the sound. The complex has the biggest pool on the island (not heated, though), and the units are very spacious and well laid out. Thank you for your comments regarding costs - yes, you should not expect to pay hotel room prices for beach-front condos! And if you should want to stay only 1-2 nights, please know that the cleaning fee is the same whether the stay is 1 night or 10. 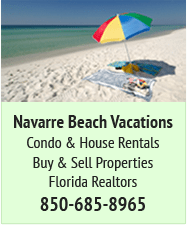 Livinglarge - thanks for the info - I will consider Navarre Towers on my next visit. GailJean - I toured two of these buildings and while some have front views I did not see any with a view down the beach to the left or right due to the set back from the gulf. When I stay at the Pearl the one beside their parking lot has no view of the water at all - it looks at the parking lot and the front of the Pearl. I agree Beach Colony is a nice property and I have seen the very nice large pool. I enjoy spending a lot of time reading on the balcony listening to the sounds and watching the waves - I don't see Beach Colony being the best selection for these activities. I would recommend anyone going to Navarre Beach to enter from the Pensacola side and travel down the Beach Road - For me it's a true entry into Vacation - the beautiful dunes, waves and wildlife set the tone and I can feel my stress level ratchet way down just by going thru the gate, rolling down the windows and enjoying the 20 mph drive down the National Seashore. 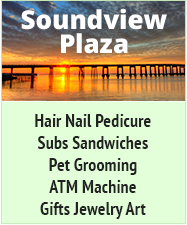 No matter where you stay on Navarre Beach it really is a wonderful place unlike any other in Northern Florida. Beautiful Picture - thanks for sharing. asilloghome wrote: I would recommend anyone going to Navarre Beach to enter from the Pensacola side and travel down the Beach Road - For me it's a true entry into Vacation - the beautiful dunes, waves and wildlife set the tone and I can feel my stress level ratchet way down just by going thru the gate, rolling down the windows and enjoying the 20 mph drive down the National Seashore. There is nothing I can find to disagree about this... EVERYTHING you say about the drive is 100% correct as it has to be one of the best drives in Florida. As for Navarre being unlike anywhere else, SHHHHHHH.... It's Florida's best kept secret. livinglarge wrote: asilloghome, you should give Navarre Towers another look. A lot but not all the units that are for rent have been remodeled. My unit (insert plug here) 1005 has been remodeled completely, baths, kitchen, heating and A/C. and last fall the floors, tiled. Dale E Peterson has many of our units to rent on their website with pictures and rates. but as you stated everything is a negotiation. Our unit does not show the new floors yet. but the new photo's have been taken, just waiting to upload. Agreed....the units we rented were well-appointed and clean. asilloghome wrote: Caribbean Resort is on the West Side of The Pearl - I toured the building once and found it smelled musty and old. A local resident told me they have serious structural problems since the last Hurricane and sewer issues are causing the smell. It looked nice just walking through but again I don't want to spend my hard earned vacation time and money staying in something with bad smells and potential structural issues. asilloghome, We have been coming to Navarre Beach for 25 years & have stayed at many condos over the years. The last 6 years we have stayed at Caribbean Resort. We have never encountered a musty or sewer odor. The structural issues have been corrected or I certainly would not be staying in the building but especially on the higher floors. Between the 2 couples we have stayed in at least 7 different condos in that building & all of them were very nice & the views from the end units in this building are by far the best views on the island. 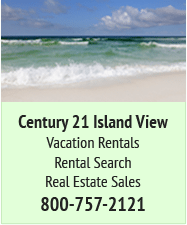 I would recommend Caribbean Resort to anyone who is planning a visit to Navarre Beach. "The crying gulls -- the thundering surf -- the song of the sea... All are music to my ears." Agreed! We stayed at Summerwind last summer. If you plan to stay in your condo, it's fine. If you plan on spending anytime on the beach, good luck, it's a mess! You'll have a better view of the beach from your condo, than your chair! It's sad! BUT, because of the crowds at Summerwind, we decided to pack up one day and head to the Gulf Islands Public Beach on 399. What an amazing place!! We are heading back to Navarre in about a month! Staying at the Belle Mer! Can't wait! The beach road is truly lovely drive, but why do I always get some idiot drive 10 ft or closer behind me, what can be so attractive about the back of a black pickup truck.